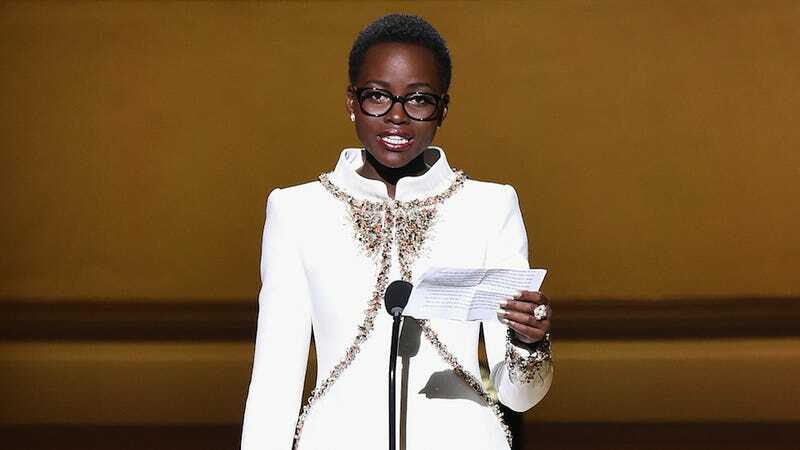 Lupita Nyong'o, who really needs to give a seminar on public speaking, was among the women who delivered a keynote address at the Massachusetts Conference for Women in Boston on Thursday night. Another day, another amazing speech. "What I wanted more than anything was to make believe for a living. When I watched The Color Purple and watched Oprah and Whoopi Goldberg, a seed was planted in my heart to becoming an actor, but I dared not water it in public… Nobody I knew around me was acting for a living. In school, it wasn't one of the professions you learned about. It didn't help that we only had one TV station and it aired very boring programming as a child."